Like many of my fellow North Americans, I spend countless precious hours of my life commuting to work. Canadian commuters spent an average of 63 minutes a day making the round trip between their place of residence and their workplace in 2005. That's the equivalent of nearly 275 hours of commuting, based on a 260-day work year. I would venture to guess that my commute is a little longer than this, though working within the confines of these statistics I have vowed to fill every one of my approximate 275 commuting hours with brilliant fodder to feed my imagination in the form of audio books. Since the start of the year it has utterly transformed my usually soul sapping commute into a wonderful opportunity to elevate my spirit above the status of a commuter drone stuck in auto pilot. Presently I am finishing up Tishomingo Blues by Elmore Leonard, though the next highly anticipated audio book for my impending work week is Homer's the Odyssey. So as I accelerate onto the Iron Worker's Memorial Bridge, and cross over the Burrard Inlet I will be filled with the image of Poseido n in the water below me seeking vengeance on poor old Odysseus. 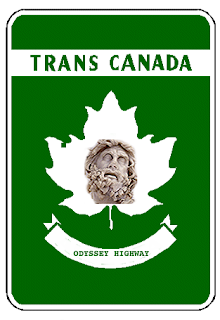 Perhaps while I am traversing my little portion of the Trans Canada Highway I will be listening closely for the Siren's seductive call by the road side, tied in by my seat belt just as Odysseus was tied to the ship's mast in order to avoid temptation and certain doom. This will transform about 9 out of my 275 commuting hours this year, not a bad start really. 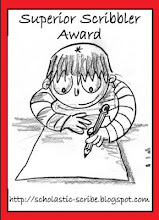 I am actually quite giddy at the prospect of embracing an ever growing list of audio books and I may even keep a log and see what ideas emerge from these marvelous stories that fill me ears each day. So please excuse if I am grinning madly as I veer towards the off ramp into Surrey in the morning, as I may be so very enraptured and filled with delight at the efforts of Odysseus to outwit the Cyclops Polyphemus that I may forget that this is not supposed to be a pleasant experience. Traffic updates and talk radio be damned - I am on an odyssey! Are you listening on mp3 or cassette? Some audio books may be availble on torrent. Hey Dean - I am mostly listening via CD right now courtesy my local library, though I think I'll burn through their collection of good titles quickly at the rate I am going. Audio books are to talk radio what eggs, toast, sausage, and orange juice are to plain oatmeal and water. Thanks Don - I do what I need to in order to keep sane. The books take me to my happy place and keep my mind from turning to goo. I often read books during my commute, which is about an hour each way. I don't use audio books much, but last year I enjoyed an audio course on classical mythology, which I listened to during my commute. Commutes are also a great time for listening to podcasts.